Playa de Pals lies 43 km. east of Girona. At only 600 m. from the beach this sand coloured. little complex is situated. in a wooded en relatively quiet villa district. It consists of seven holiday houses which lie around a swimming pool. 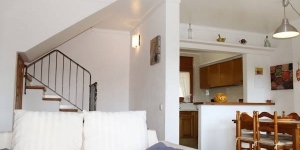 Your holiday house is located at 300m from a supermarket and at 800m from the little centre. The interior is functionally furnished. Each bungalow has a covered terrace with garden furniture and a fenced parcel. which gives access through a small passage way to the swimming pool and the laying meadow. Due to the fact that the homes lie in a hilly area. the gardens incline towards the swimming pool. 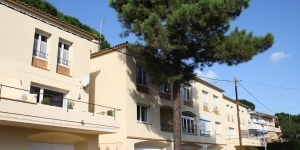 A fine and ideal situated accommodation for together travelling families.Platja de Pals has a small centre with shops and restaurants. 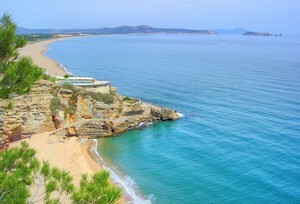 It is directly located on a long and extended sandy beach. with fine sand and clear blue water. Platja de Pals is perfect for golfers. 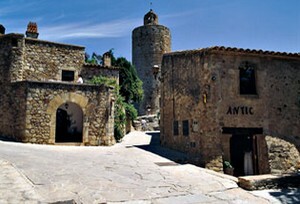 Culture lovers can visit the Dalí museum in Figueras or the city of Girona with its old centre. 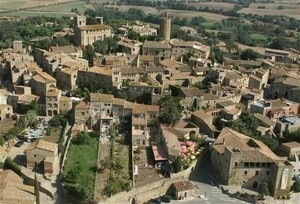 The medieval village of Pals is at 6 km.Please note: an extra changing of linen costs € 10.- per person.